From inception to delivery - Viscount provides new smart solution. Viscount Plastics has won two gold awards for their new SmartPail™. Best product within the Food & Beverage Category - Gold Award & Best product within the conventional Injection Moulding Category - Gold Award was awarded to Viscount Plastics at the Plastics New Zealand awards night. The project highlights Viscounts' highly skilled team and in-house design capabilities that managed the project from inception to delivery. New Space Saving Design with Smart Features. Smart thinking by Auckland-based Viscount Plastics (NZ) Ltd is reflected in the naming of their new 10 Litre rectangular SmartPail™. Proud winner of "Safety, Security and Environmental Innovation Award"
Cookie Time entrusted its long-standing partner, Viscount Plastics, to develop newly designed packaging, featuring the latest labelling innovation-inmould labelling (IML) - to replace the iconic Cookie Time Christmas Cookies bucket. It is being hailed as a mind-shift and a much-needed solution to customer and retailer needs in Australasia for the next decade. Importantly it is proven to boost sales by 18-23%; causes customers to linger and spend 11% more time in a store; and supports the growing category of the purchaser wanting to shop more frequently for fresh and convenience products*. 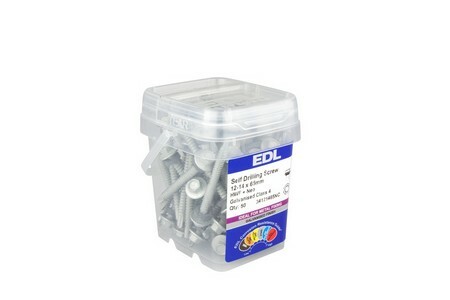 A supplier-client partnership between Viscount Plastics and EDL Fasteners has trumped the traditional round screw top PET jar for screws and small fasteners with rectangular 400ml 'flip lid' plastic packaging that is taking EDL Fasteners to the forefront of brand identity and consumer appeal in hardware stores. Every day, 362 days a year, half a Tonne of one-way contaminated cardboard removed has been removed from the waste stream. In addition there has been an increase in space utilisation in delivery trucks by 15%, These benefits have contributed to Viscount Plastics taking out a top award in the Packaging Council's 2009 Environmental Packaging Awards. Viscount Plastics New Zealand (VPNZ) General Manager Sean Delaney is a firm believer that suppliers can learn a lot from listening to customers. Since taking up his appointment in early 2008, Mr. Delaney has put a priority on establishing a dialogue with some of New Zealand's key materials handling entities. Research recently commissioned by a leading circular distribution company revealed that the majority of New Zealanders enjoy finding unaddressed advertising material in their letterboxes. Viscount Plastics New Zealand's parent, LINPAC Group, has played a key roll in helping UK's Marks & Spencer build a new 'fresher and better quality' produce supply chain based on 3.5 million returnable delivery trays implanted with RFID tags. Week in, week out the Southern Hemisphere's biggest and most sophisticated bakery distributes 2.5 million loaves, rolls, crumpets, pikelets and hot cakes throughout Sydney in a crate first produced by Viscount Plastics in the late 1980's. Anyone who knows us at Viscount Plastics New Zealand will confirm the lengths we go to ensure our products are capable of being ground up for recycling as raw material for plastic moulding and extrusion. Viscount Plastics NZ and New Zealand Kiwifruit growers are together contributing to the world's highest penetration into a supermarket chain of environmentally responsible foldable Returnable Plastic Crates (RPC's). Employing Viscount Plastics to supply a conveyor-compatible crate solution has lowered the cost of distribution for retail giant The Warehouse. The brief to Viscount Plastics was for creative packaging design that would move Goodman Fielder's Sunshine and Choice brands to the premium end of the catering spread category. "Gimme, gimme. My dinner's in there!" Anything involving food seems to bring out learning and observation abilities hitherto hidden in many family dogs, so is it not altogether surprising Viscount Plastics is predicting thousands of chops licked whenever canines see a Flip Lok plastic container in their owners' hands. 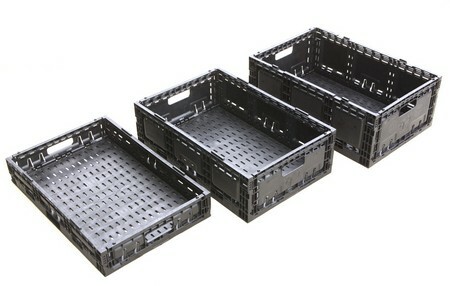 "I'm not claiming FCC and Viscount Plastics have reinvented the wheel, but the way this 47 litre produce crate deep nests to almost have the costs of road freighting empty crates I'd say we have improved it dramatically," suggests Hans Wouters, Fruit Case Company (FCC) General Manager.